Great recipe to use up ripe tomatoes, perfect for summer BBQs. 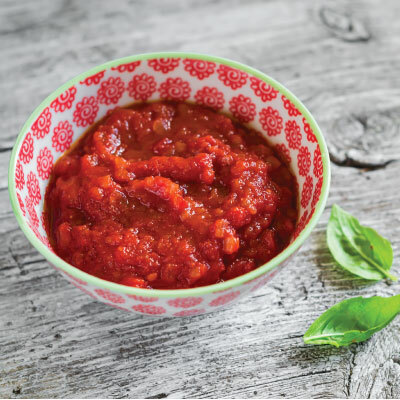 Nothing taste better than homemade DYC Tomato Sauce. Chop tomatoes roughly and place in a large saucepan. Peel, chop and add onions, garlic and root ginger. Stir in cloves, chillies and peppercorns. Cook gently with occasional stirring until soft and mushy, about 45 mins. Put through a sieve and return puree to clean saucepan. Add sugar, salt and vinegar. Boil steadily for about an hour, stirring from time to time as sauce thickens. When the consistency of thick cream has been achieved, bottle in hot bottles to above the shoulder.